Empathetic, focused, charismatic, innovative, and creative. These words describe Ubong Thompson King, a visionary leader and Chairman of Protection Plus Services Limited (PPSL) and other fast growing subsidiaries. PPSL is a Corporate Security Services company, with headquarters in Lagos state. 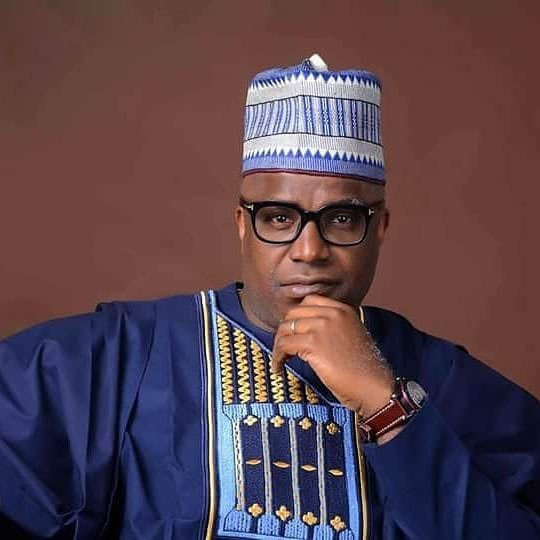 His nack for seeing what others do not, has helped him to turn a small business, which started in a corner of his bedroom, into a successful business empire, which is positioning itself as a global leader in the Security industry. Never squeamish about trying on different hats to see which fit best, he’s done everything, from volunteer service in the protocol department of the church he attended at the time, as a guard, to working as a consultant for a piggery. He is a graduate of the University of Calabar, Cross Rivers State, Nigeria with a BSc. Ed in Agriculture, but ventured into the security industry 22 years ago. The stirring to build a career in the Security industry, is rooted in his intense dislike of seeing people lose their possessions. He is a man who has tasted failure, and understands what it means to be down. The loss of his father at the tender age of 13 was a huge blow, and the subsequent hardships that accompanied that tragic event, molded his outlook to life. He had to learn how to survive. Rejected by family and friends, and disappointed with himself, he made up his mind that he would not give in to despair or defeat. Because he knows what it means to fail, it has motivated him to learn how to succeed and create value and impact from the ashes of defeat. As a result, he has grown a passion for motivating the younger ones to strive for success despite the odds, and this resolve is captured in his well-known tag line, “The only way to get out of trouble is to enter trouble.” For him, failure is not an option and like he says, “It’s either I win, or I win!” Not one to shy away from challenges, having tried and failed several times, he is a calculated risk taker who loves to dare where other men hesitate to venture. He has been described as a man, who has the heart of two lions, and seeing his antecedents, one does not need to wonder too much. Ubong is a man with a heart for God and lives his life by faith, which has been his backbone for taking the risks he does with his businesses and today, he has hundreds of staff spread in 6 countries and still growing- a feat he constantly attributes to the grace of God. 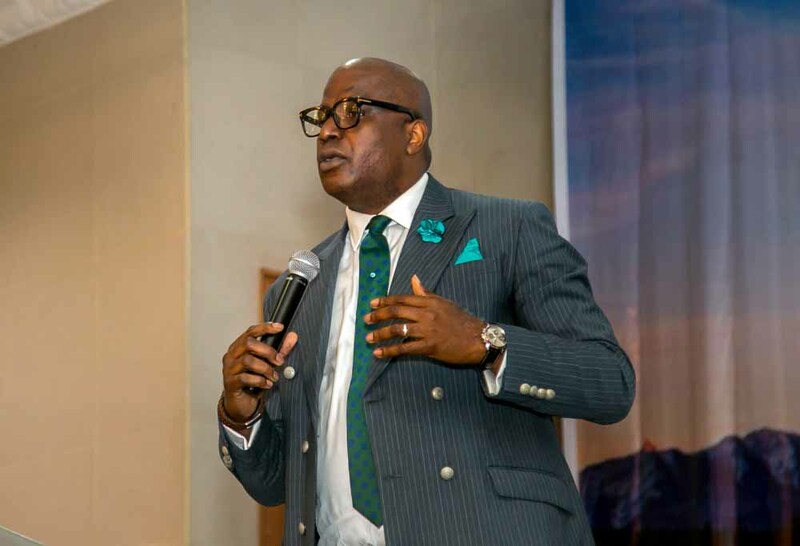 He is the President of The Kings’ men World, a mentoring platform, which is poised to address the absence of strong role models for Business, Leadership and Relationship. It also seeks to transform lives and push people to achieve more. Kings’ men seeks to drive a motivation for change and hunger for success, inspire, challenge and equip people and businesses to operate at their maximum potential. Ubong is called the Apostle of the Market Place. He believes that God is his senior partner in the business arena, and is a most prolific speaker, who has spoken at business and church platforms. Deeply passionate about the industry he operates in, he has a relentless commitment to raise the standards while creating better values in his industry, and developing human capital in his country of birth, Nigeria. Ubong King is passionately committed to his family and is married to his wife of 14 years, Amb. (Mrs.) Unyime -Ivy King, a co-builder with him in the home and in business. They are blessed with 4 children: Adora-Edima, Jamon-Mfonabasi, Atara-Uyaiabasi and Sarah-Mbuotidem.